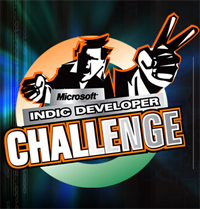 So Microsoft is conducting a contest for the students to develop applications in Indian languages. Well… Why can’t the FOSS community promote such a contest? Any one who wants to take on this? I will be glad to participate if any group wants to conduct such an event. The courses are already based on M$ products and solutions. Now with this contest – students are going to bury themselves deeper into products. I know that M$ has special licenses for educational institutions and an academic license is not as costly as the commercial ones. But even then… we will be better of if we promote opensource software – starting with the school students.